Cyndi Lauper has sent a message of Australia’s Prime Minister-elect Abbott to consider the rights of people like his sister when it comes to marriage equality. “Hey on behalf of the LGBT community here in Australia I hope Marriage equality happens now. 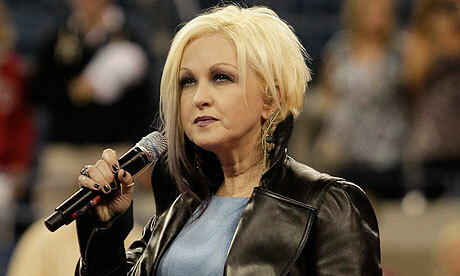 Tony Abbott think of your sister’s civil rights,” Cyndi tweeted today. Cyndi has been an outspoken activist for the LGBT movement and has performed for numerous LGBT charities and events throughout the world. She started campaigning for equal rights in support of her lesbian sister Ellen. The song “True Colors” has become an anthem of acceptance and inspiration in gay community. Tony Abbott, a former student priest, was swept to power in Australia last week following the personal endorsement of Rupert Murdoch.